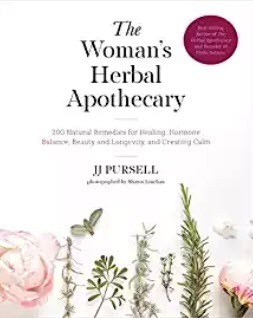 Today I'm reviewing The Woman's Herbal Apothecary by JJ Pursell. I'll start this review as I normally do with a review of the physical book. This is a large book, the height of the book exceeds anything that would be within the realm of portability. 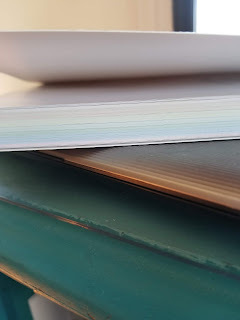 It is also a soft cover book which lends itself to rips, tears and pages that are damaged if toss in a backpack or briefcase for travel. There is an extensive index in the back of the book, which in my opinion is required for this type of reference material. Further the book has a color code on the page ends that further aids in locating exactly what you're looking for. To me, these two things are imperative to the success one has in using this type of material. The photos in this book are amazing. Large, bright and colorful though they are sparse. 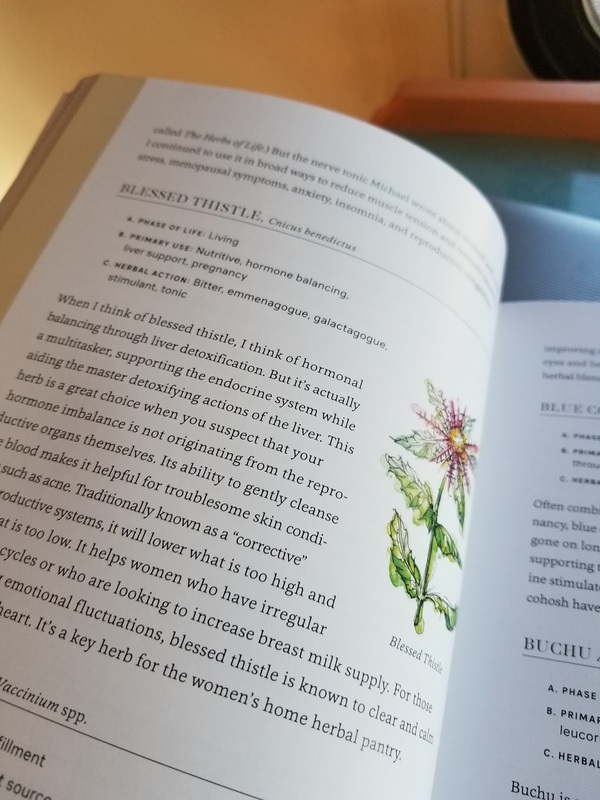 The section on Fulfillment: Menopause and Beyond was extremely helpful for me. 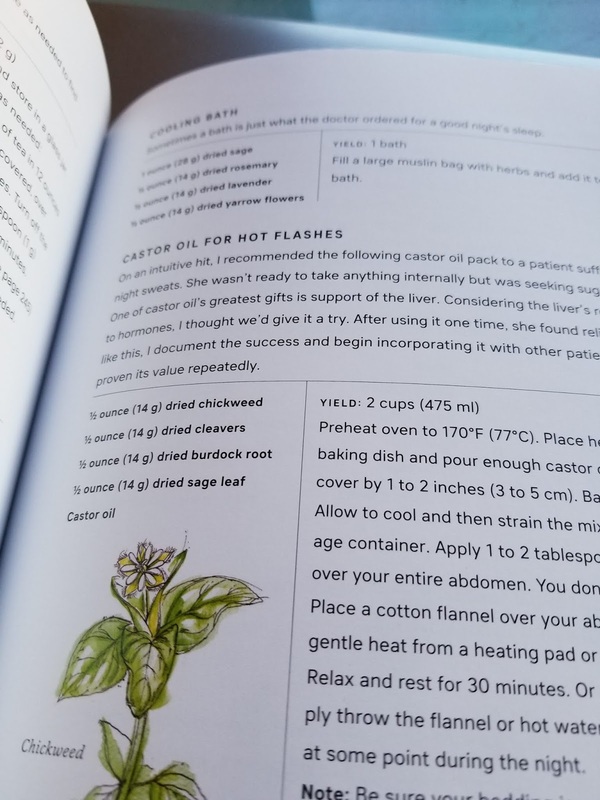 The author provides the reader with recipes for teas, capsules and vinegars that assist woman in the later years of life. There is a recipe for an herbal vinegar called Apple Cider Osteoporosis Blend. Easy to make, the author instructs us to add our herbs to Apple Cider Vinegar and keep in a cool dark place for four weeks shaking daily. We then strain and use daily. This particular mixture includes the herbs - hawthorn berry, black cohosh root, st. john's wort, dried nettle leaf and dried alfalfa leaf. While not something I have on-hand, I don't think these would be too difficult to obtain. 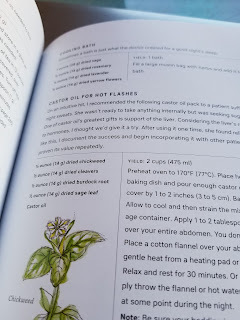 The Hot Flash Tincture is just as easy to make. You'll find this recipe on page 169 and I bet it will be a regular addition to your daily healing rituals. 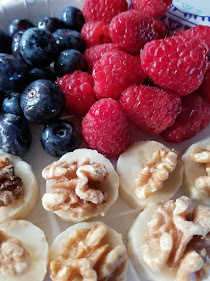 The author acknowledges that not everyone knows how to make these mixtures. Chapter 8 is completely dedicated to making herbal medicine. It explains what each are and goes into detail explaining how they work with the body. Everything from tinctures, oils, syrups and salves are included. I feel it was very thoughtful for the author to include the general dosing guidelines on page 246. Sometimes we forget that more is not always better. As we all know ingredients matter. There is a reference included for purchasing small amounts of herbs as well as larger amounts from different vendors. I am impressed with the amount of reference included in this book. 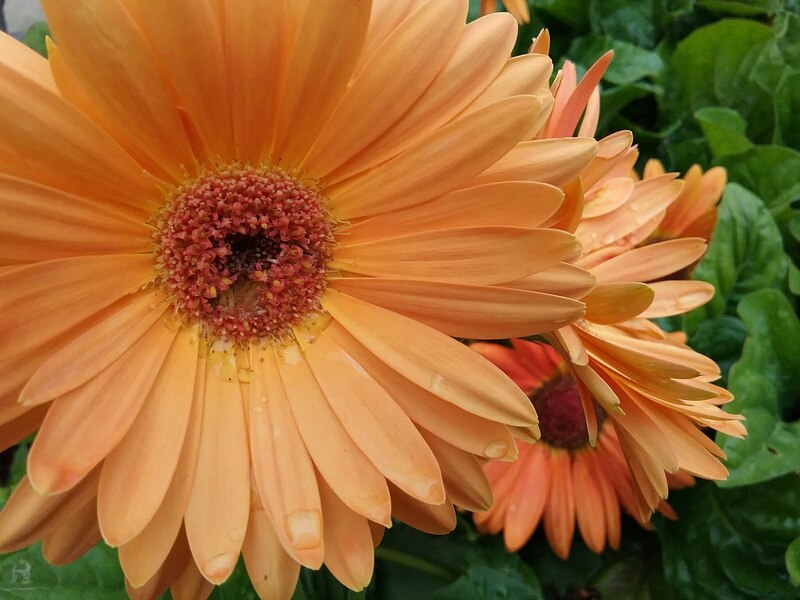 There are two pages dedicated to Herbal Conferences, Societies as well as classes and schools dedicated to herbal studies. Over all, this is a pretty impressive book and includes a great deal of information directed towards the woman and her life. I can see this being a go to reference for me as I continue to learn and explore more about herbal remedies.